Opinion: Who's Protecting the Young, Gifted, Black and Disabled? 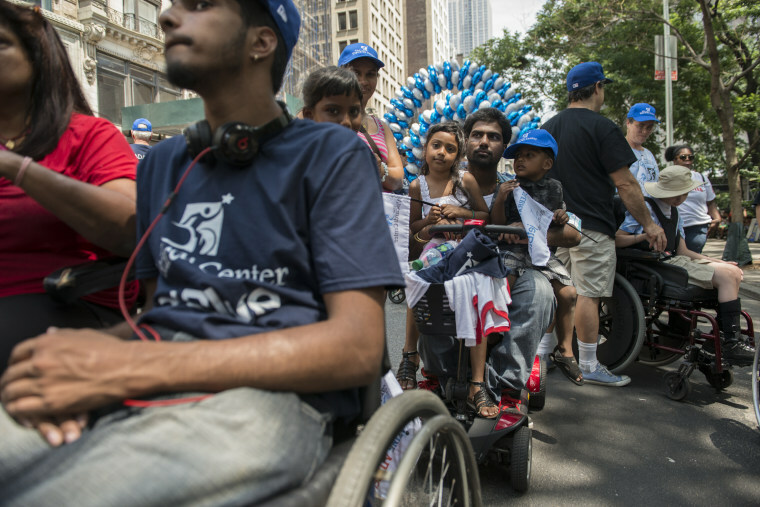 This July marked the 27th anniversary of the Americans with Disabilities Act—a law that broke new ground for giving Americans with disabilities access to society as a whole. Much has happened in the last year that has caused the very same people who gathered at the U.S. Department of Education more than a year ago, confident and optimistic, to feel concerned that the very vision of the future they discussed that day—a future in which Black students with disabilities are celebrated as people rather than being seen as problems, where one participant expressed the fact that he would no longer feel that “being young, Black and disabled means I have to think about controlling my Autism the minute I leave my house so I don’t get shot by cops,” and a future where every individual in our community feels safe and supported—could become an impossibility. Our children with disabilities deserve the same dreams and goals as their non-disabled peers, as all children have, and instead, under the Trump administration, they are experiencing a nightmare. If you care about a Black disabled young person, you should know that there is no way they will not be targeted in the months ahead. This year the White House hosted a similarly framed event while at the same time continuing to chip away at the rights and protections that have been in place for over 40 years to give our disabled students the same education as our non-disabled ones. Evidence of disruption includes Secretary of Education Betsy Devos and her team dangling school vouchers in front of parents with disabilities like a golden ticket, without any regard for the data, which shows vouchers have not worked to improve student achievement, address racial segregation in school or otherwise improve the system of public education. Proponents of vouchers continue to suggest that using state education funds to enroll selected children in private schools promotes learning by providing access to “better quality schools” and fostering competition that ultimately improves public education. What also goes unstated by Devos and proponents of school choice is that students with disabilities lose due process rights and other protections under the Individuals with Disabilities Education Act (IDEA) the minute a parent accepts a voucher for their child's education. The tools that parents and educators have to ensure the needs of students with disabilities are met in schools don’t exist — or if they do, they don’t apply in voucher programs. Private schools have the right to actively deny enrollment to students with Individualized Education Plans -- IEPs are road maps to supporting a student's learning and development. Even if they are accepted, private schools have the right to place students with disabilities in a segregated setting. Students with disabilities can also be suspended or expelled from private schools with no opportunities for alternate education. Another example of the Trump Administration’s blatant assault on individuals with disabilities includes challenges to reducing sexual assault on college campuses. Data shows that Black girls with disabilities are one of most assaulted and abused populations on college campuses. Under President Obama, the Departments of Education and Justice shared data highlighting the disproportionate rate at which Black and Latina girls are suspended, expelled and otherwise pulled into the sexual abuse to prison pipeline and the Trump administration seems to be committed to increasing the numbers by neglecting the needs of those most often under-supported. Finally, we know that students with disabilities also identify as transgender, and the rescinding of the guidance allowing transgender students to use the restroom that aligns with their gender identity is an attack of their civil rights. Educators know there are much more meaningful debates to be had and policies to be enacted than to attack students who are already much more likely to be bullied, denied access to housing, employment or opportunities to demonstrate their genius. The Trump administration would be better served by expending energy attempting to court the talent within racial, ethnic and social minority communities rather than continuing to assail and assault them. The fact that the White House and the U.S. Department of Education are patting themselves on the back for supporting young people while actively attacking their very rights is not acceptable. The administration has continually questioned efforts to make schools safer for all youth. This will impact students with disabilities, who are already fighting an uphill battle and will only serve to weaken a system that has supported Democracy. While they can choose to frame an assault as a “celebration” we must get to work ensuring our kids with disabilities have a fair shot. 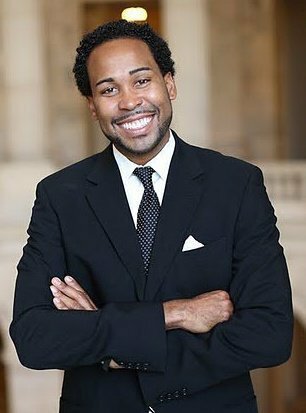 David J. Johns is an educator, organizer and policy expert. He is the Executive Director of the White House Initiative on Educational Excellence for African Americans.